Please note: all products or service listed in this website are for research or production use only, not for direct human use. 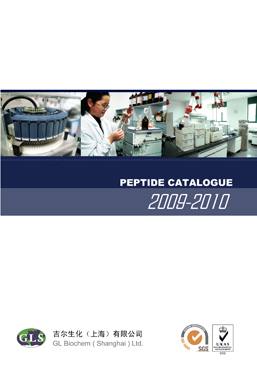 Peptide for pharmaceutical and laboratory research use. Custom Peptide Synthesis with a wide variety of purity levels, scales and modifications to best fit your different needs. Quality custom organic synthesis from mgs to kgs at the most competitive price. Learning about how to order GLS' products.